With various experiences and cheerful mind, he's been a leader to open the new culture of internet since early 90s for last 25 years. 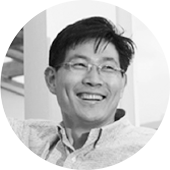 He was born in Korea and got a lateral, flexible sight with free movement while he was working as a venture business entrepreneur, a board member of major company and work in Silicon Valley. He is now considering for next generation's technology as he thinks further for future, so he started to think of sharing life beyond sharing information through internet. 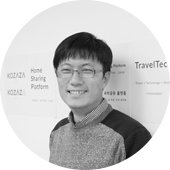 Those thoughts led him to found Korean home sharing platform service 'Kozaza' with his philosophy of 'be fun and beneficial to world' and he tries best for rights and interests of citizen as well as a member of Seoul Informatization Committee, director of Open Net. His hobby is planting flowers, Typography, video call with son. Living close to computer as digital nomad. He called himself as a wanderer developer with success and failure after so many challenges but he is a true master in the field. 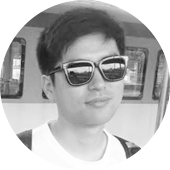 He studied Information Technology and Internetworking in University of Technology Sydney and experienced many times of making open source blog tool and developing mobile applications. He thinks 'there is no technology more important than people' that co-founded 'Aiku', directed development of 'Tweet On Air (KT Olleh On Air)' and 'Recood' as CTO. Also he takes Service development part now since he has similar experience at Minbak.com. He lives in Australia with his family and also he is a sweet father who goes to playground with his son or ride a bicycle, help him taking bath. Daniel thought he'd have a plain life after graduating school, university and got a job but he stepped in Start-up business and experienced heaven and opposite for last 8 years. 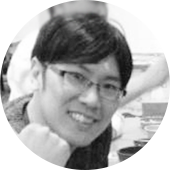 He is Service planner who experienced web and mobile. He loves SF movies especially Star Wars. He's a sommelier who is enthusiast for wine and has a great knowhow for buy expensive wine with cheap price. He takes project managing, front develop and iOS APP develop in Kozaza so called as well-rounder. He aim for conservative progress as judge rationally and seek for new instead of settle in now. The values of positive mind and that support his life. Ikjun is from Jeju Island, the hometown of delicious tangerines. He is very active when he talks about work but personally he's very calm. He prefers to take bus than the metro since he doesn't want to bother others with backpack in crowded place. He went to university and military service like ordinary people but he decided to take challenge as working in a venture business. He studied Geography education in Jeju university so he could be a teacher but he worked as tour photographer and then travel agency, and now he takes part of Kozaza with host management and B2B marketing. He's living with idea of 'life is difficult but still can try'. He was an independent editor and display marketer. He prefers minor culture. He's playing online game, reading books, enjoying short trip as hobby.